Cologne – Statistically-speaking, TSG 1899 Hoffenheim will not be relishing their trip to the BayArena to meet Bayer 04 Leverkusen this Saturday (kick-off 15:30 CEST / 13:30 GMT). Only once have the Sinsheim side managed to get the better of a Leverkusen outfit who appear to come into their won against Hoffenheim, but Matchday 1 of a Bundesliga season tends to reserve the odd surprise and Hoffenheim coach Markus Gisdol will be keen on delivering one of them this weekend. Check out the stats and facts for this BayArena battle. 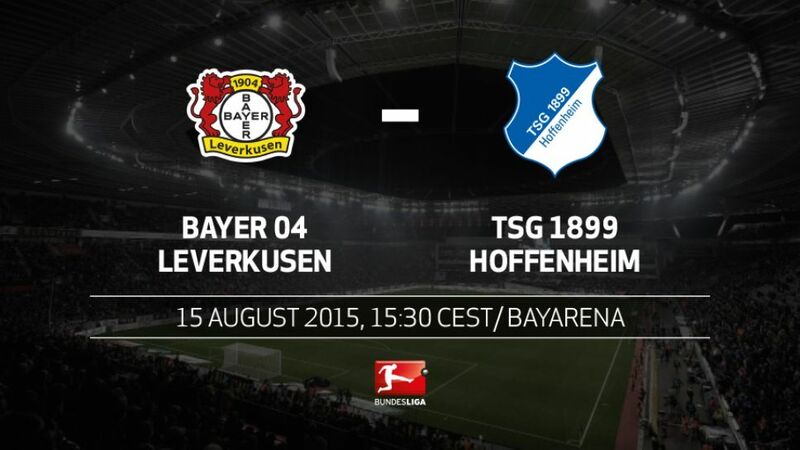 Bayer 04 Leverkusen have won 12 of their 14 Bundesliga matches against TSG 1899 Hoffenheim, suffering one defeat and playing out one draw in the remaining fixtures.Die Werkself won their last six home games of the 2014/15 season without conceding a goal and could still set a new Bundesliga record. No Bundesliga side has ever won seven straight home matches whilst keeping a clean sheet in all of them.Of all the current Bundesliga sides, only against Darmstadt (two games - two wins) and Augsburg (eight games - seven wins, one draw) do Leverkusen boast a better record than against Hoffenheim.Hoffenheim suffered the first defeat of their Bundesliga history against Leverkusen, a 5-2 loss on 30 August 2008.In their sole victory at the BayArena, Hoffenheim scored as many goals (3-2 win) as they had in their previous six trips to Leverkusen combined.Roger Schmidt and Markus Gisdol completed their coaching license together in 2011, along with the likes of Markus Weinzierl, Tayfun Korkut and Thomas Schneider.Pirmin Schwegler played for Leverkusen from 2006 until 2009 (46 Bundesliga appearances, no goals).